We all love to look at beautiful book covers and we love to adorn our shelfs with them. There are many blog series around that talk about different book covers – how similar are some covers among other things. We have book cover reveals as well. But what we overlook is that there are people who have designed these covers. There are people who have tried to understand the story and the intention behind the book and try to design a cover that reflects that. I have been attracted to the art of book cover design for a long time and I thought this would be a perfect platform not just to show you a nice cover but also let you know the process behind it and also introduce you to the designer while I’m at it. I’m sure you all know what book this is about. The design process goes something like this. 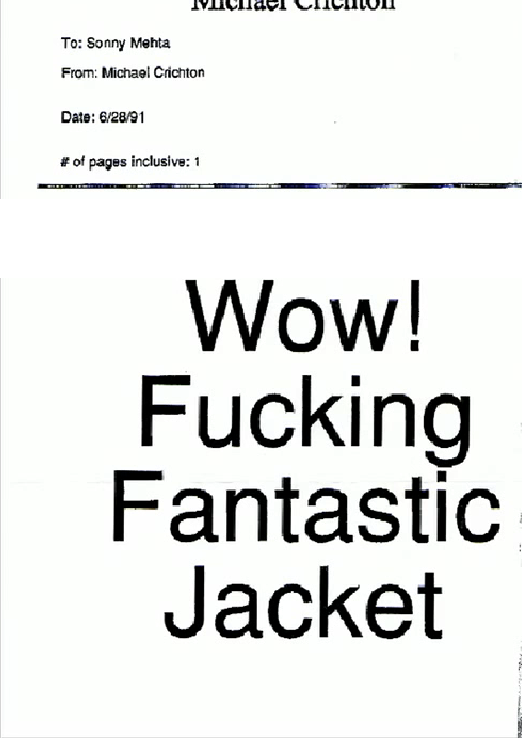 Chip Kidd went to the library to find books on dinosaurs and found this page. 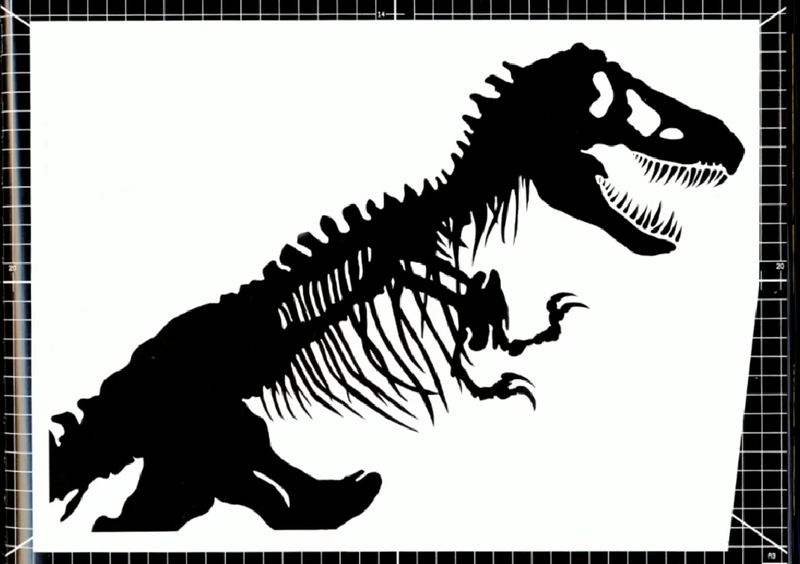 He put this in a photostat machine, took a piece of tracing paper, taped it over the tracing paper with a scotch tape and took a rapidograph pen and reconstituted the dinosaur and came up this which was used in the final book cover. 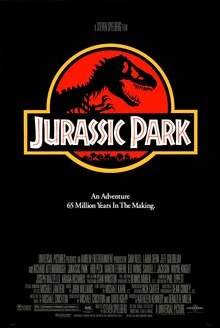 The image was bought by Universal and was used in the movie which in turn was used in a lot of the movie memorabilia when it was released. 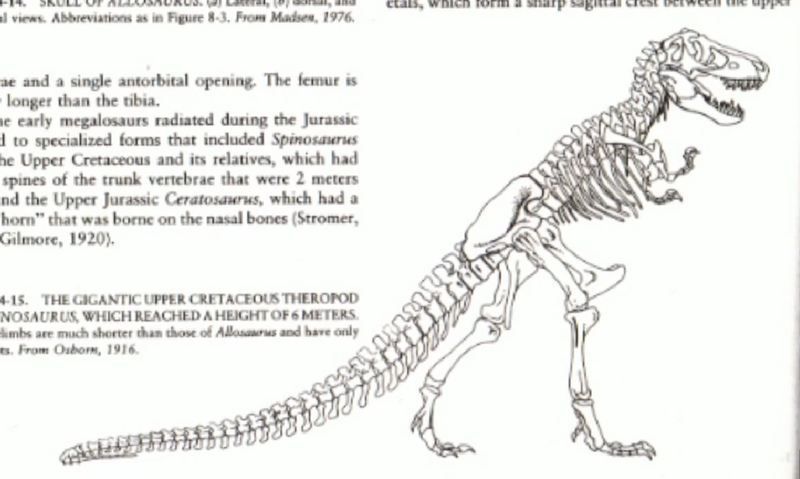 Thats the story behind the cover of Jurassic Park. I hope you enjoyed reading this post. Obviously I have to get this information from somewhere. There are a few youtube videos on this so if you are interested you can watch this videos but for these feature series I’m going to break it down so that you can go through the process in less than 5 mins instead of watching a 20 mins or an hour-long video. All the references will be given alongside. This entry was posted in Uncategorized and tagged book covers, books, chip kidd, design, jurassic park. Bookmark the permalink. Oh, that’s such a fun feature! It’s easy to judge whether we think a cover is good or bad but a lot of work goes into those. I like knowing more from behind the scenes. Sometimes simplicity is the best way to go about something, and so I feel that this cover is perfect for the book.